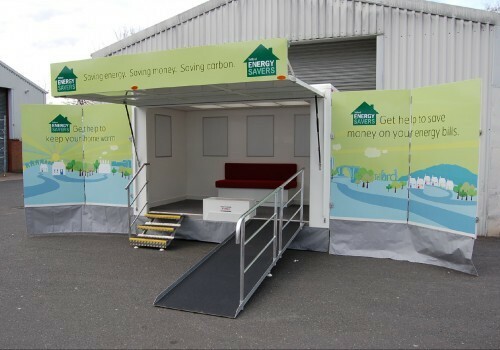 Our display trailers are built to enable you to travel and set up a professional place to meet customers. No two of our trailers are the same, each trailer is custom designed to suit your needs.– below are some examples of our display trailers shown in a variety of sizes. 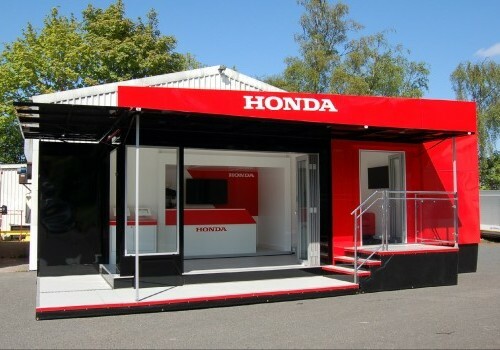 From 4 meter, to 7 meters with a side room, our display trailers enable you to customise the title banner and sides. The most popular is a 7m, rated to 3,500 kgs on a turn-table chassis. All of our new build exhibition trailers for sale come with a full type approval certificate, electrical certificate and user manual. 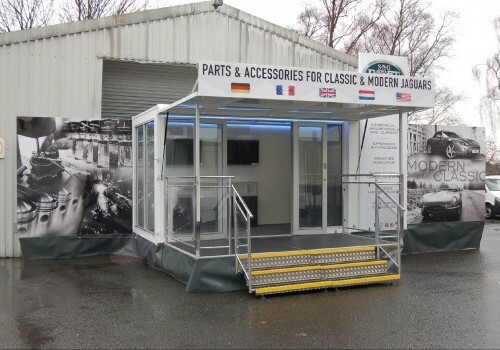 If you like the look of any of the display trailers above or have a different specification, please get in touch on 01952 612648 to discuss your options in more detail.